John Tytell is an American writer and academic, whose works on such literary figures as Jack Kerouac, Ezra Pound, Allen Ginsberg, Henry Miller, and William S. Burroughs, have made him a leading scholar of the Beat Generation. Tytell has been a professor of English at Queens College, City University of New York since 1977. He was nominated for a Pulitzer Prize for his 1987 biography Ezra Pound: The Solitary Volcano. Graduate Reader 1963-65; dissertation on James under Leon Edel. Paradise Outlaws: Remembering the Beats, William Morrow: New York, 1999. 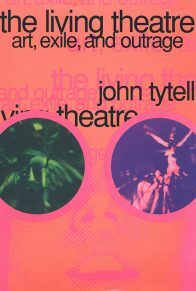 THE LIVING THEATRE: Art, Exile and Outrage, Grove Press: New York, 1995. Paperback edition: Grove Press, 1997. British edition: Methuen, 1997. Passionate Lives: D.H. Lawrence, F. Scott Fitzgerald, Henry Miller, Dylan Thomas, Sylvia Plath – In Love. 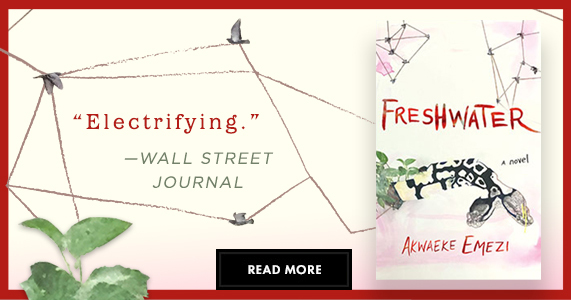 Birch Lane Press, Carol Publishers. New York, 1991. German edition, Arche Verlag, 1993. Paperback edition, St. Martin’s Press: New York, 1995. Ezra Pound: The Solitary Volcano. Doubleday: New York, 1987 and Bloomsbury: London. Paperback edition: Doubleday, Anchor, 1988. Bloomsbury papeback: London, 1989. French edition for La Font Seghers: Paris, 1990. Naked Angels: Lives and Literature of the Beat Generation. McGraw Hill, 1976. Paperback edition 1977. Japanese edition 1978. German edition 1979. Grove Press edition 1986. Grove Weidenfeld Evergreen edition 1991. Czech Republic edition: Votobia, 1997. Emergency Messages: An Autobiographical Miscellany by Carl Solomon. Edited with an introduction by John Tytell. Paragon House: New York, 1989. “Sexual Imagery in the Sacred and Secular Poems of Richard Crashaw,” Literature and Psychology, 1971, vol. XXI, no.1, pp. 21-29. “The Jamesian Legacy In The Good Soldier,” Studies In The Novel, Winter, 1971, vol. 3, no. 4, pp.365-74. “Frederick Rolfe and his Age,” Studies In The Twentieth Century, Fall, 1972, no. 10, pp.69-91. “The Beat Generation and the Continuing American Revolution,” The American Scholar, Spring 1973, vol. 42, no. 2, pp.308-17. “An Amateur Survives Without a Contractor” The Ne York Times “Home Selection,” December 14, 1978, p. C 1, 3. Syndicated. “Allen Ginsberg Howls Again,” Soho News, November 24, 1981, p.6. “The Houdini of Photography,” Camera Arts, May, 1981, pp. 34-5, 105-6. “The Beats Go On,” Vanity Fair, Januray, 1985, pp.58-66. “On The Living Theatre,” Fiction International, 1995, vol. 28, pp. 181-87. “Two Spies in the House of Love,” Fame, February, 1989, pp. 31-33. “Singing the Body Electric,” American Book Reivew, July, 1997, vol. 18, no.5, pp. 11-12. “Burroughs” L.A. Weekly, August 8, 1997, p. 31. “The Beat Legacy,” in Beat Culture: The 1950’s and Beyond, ed. Cornelis A. van Minnen, VU University Press, Amsterdam, Holland, 1999, pp. 269-74. “Burroughs” in Time Place Word, edited by Eric Shoaf, Catalogue for exhibit at John Hay Library at Brown University, Oct. 2000, pp.35-43. “Fragmentation in Modernism” in Fragments: Incompletion and Discontinuity, ed. Lawrence Kritzman, New York Literary Forum, 1981, pp.3 -16. “On Keruoac” in Richard Kostelanetz’ American Writing Today. United States International Communications Agency, 1982, pp. 207-19. Translated into Spanish by Eduardo Patino and Charles Munoz for REBO, a newspaper in Bogota, Columbia where it appeared in three installments on September 8, 15 and 22, 1996. “Reminiscence of City College” in City At The Center, edited by Betty Rizzo and Barry Wallenstein, published by CCNY, 1983. “The Beat Brotherhood” in Essaying Biography, edited by Gloria Fromm. University of Hawaii Press, 1986, pp. 105-27. “Ezra Pound’ in DICTIONARY OF AMERICAN BIOGRAPHY, Supplement Nine, 1971-75, edited by Kenneth Jackson (Scribner’s: New York, 1994) pp. 616-19. “Julian Beck” in The Scribner Encyclopedia of American Lives, edited by Kenneth T. Jackson (Scribner’s: New York, 1998), pp.56-7. From 1968 to 1972 I wrote nineteen reviews for The Catholic World, a magazine published in New York since 1865 by the Paulists. From 1978 to 1980, I wrote three reviews for The Chronicle of Higher Education. From 1982 to the present, I have written one review a year for American Book Review. Review of Bruce Cook’s The Beat Generation (Scribners), in Commonweal, December 17, 1971, vol. XCV, no. 2, pp.285-6. Review of Sharon Spencer’s Space, Time, and Relativity in the Modern Novel(N.Y.U. Press) in Journal of the Otto Rank Association, December 1972, vol. 7, no.2, pp.87-94. Review of Tadeusz Konwicki’s A Dreambook for our Time (Penguin), in The Polish Review, 1976, vol. XXI, no. 3, pp.265-8. Review of Barry Gifford’s Jack’s Book: An Oral Biography of Jack Keruoac (St. Martin’s Press) in Modern Fiction Studies, Summer, 1979, vol. 25, no. 2, pp. 334-6.
Review of Ernest Hemmingway, Selected Letters: 1917-1961 (Scribners) ed. Carlos Baker, in Chicago Sun-Times, March 29, 1981, pp.22, 27. Reprinted in The San Francisco Chronicle on April 5, 1981, pp. 4-5.
Review of Brion Gysin’s The Last Museum (Grove) The New York Times Book Review, March 22, 1987, p. 16.
Review of Mary Dearborn’s The Happiest Man Alive (Simon & Schuster) and Robert Ferguson’s Henry Miller: A Life (Norton) for The Washington Post Book World, May 5, 1991, p. 4.
Review of Jeffrey Meyers’ Joseph Conrad (Scribners) in The Chicago Tribune on May 11, 1991, pp. 6-7.
Review of Peter Brooks’ Threads of Time (Counterpoint) in Bookforum(published by Artforum) Fall, 1998, p. 15.
Review of William S. Burroughs’s Last Words (Grove Press) in Bookforum, Spring 2000, p. 13 and p. 39. Reprinted in Beat Scene, No.35 (England), and expanded in the Beat focus I organized for the Summer, 2000 issue of American Book Review. Keruoac And The Beats. Edited by Arthur and Kit Knight. Foreword by John Tytell. Paragon House: New York, 1988.
Letters for Origin, 1950-56 by Charles Olson. Edited by Albert Glover. Foreword by John Tytell. Paragon House: New York, 1989. A Burroughs Compendium, edited by Denis Mahoney, Foreword by John Tytell. Hozomeen Press: Mystic, Conn. 1998. “A Conversation with Allen Ginsberg” in Partisan Review Vol. 2, 1974, pp. 253-62. Reprinted in A Burroughs Compendium, 1998. With Carlos Baker in The Chicago Sun-Times, March 19, 1981. With Carl Solomon in The Beat Vision, edited by Arthur and Kit Knight. Paragon House: New York, 1987. Reprinted in Dictionary of Literary Biography, Documentary Series: The Beats, edited by Matt Theado, Gale Research, 2001. With William S. Burroughs and with John Clellon Holmes, both collected in Kerouac And The Beats, edited by Arthur and Kit Knight. Paragon House: New York, 1988. Burroughs reprinted in A Burroughs Compendium, 1998. Both reprinted in Gale Research Documentary Series: The Beats, edited by Matt Theado. “The Joy of On The Road” in Jack Kerouac, On The Road: Text and Criticism. Edited by Scott Donaldson. Viking Critical Library, 1979. My essay was reprinted as a pamphlet by the Open Learning Agency, British Columbia, Canada, 1989. “The Legacy of Surrealism” in . Edited by Scott Donaldson. Viking Critical Library, 1979. My essay was reprinted as a pamphlet by the Open Learning Agency, British Columbia, Canada, 1989. “The Legacy of Surrealism” in On The Poetry of Allen Ginsberg, edited by Lewis Hyde. University of Michigan Press, 1984. “The Broken Circuit” in William S. Burroughs At The Front: Critical Reception, 1959-89, edited by Jennie Skerl and Robin Lydenburg. Southern Illinois University Press, 1991. “The Beat Generation” in Writer’s Sourcebook edited by Laurie Kirszner and Stephen Mandell. Holt, Rinehart, and Winston, 1987. “The Beat Generation and the Continuing American Revolution” with a new Prologue in The Rolling Stone Book of the Beats, edited by Holly George-Warren, New York: Hyperion, and London: Bloomsbury, 1999. “On Cassady and Kerouac,” from Naked Angels in Dead Reckonings: The Life and Times of The Grateful Dead, edited by John Rocco, Schirmer Books: New York, 1999, pp. 70-78. “Ford Madox Ford and Henry James,” Northeast Moden Language Association, Philadelphia, 1973. Burroughs Studies Panel at Modern Language Association, Chicago, 1978. “On Kerouac” at the Kerouac Conference, Boulder Colorado, June 1982. “Walt Whitman and the Antinomian Tradition,” a lecture delivered at Queens College for the Whitman Centennial in 1992, published as an oversized poster in 2000 by White Fields Press, Louisville, Kentucky. Read as Keynote presentation at the Insomniacathon held at the University of New Orleans on August 14, 1996. Keynote address at N.Y.U. Beat Legacy Conference, May 19, 1994. “Look for the diamonds in the sidewalk!” Reconsidering Kerouac at N.Y.U. Kerouac Conference, June 3, 1995. Lecture on The Living Theatre at The National Arts Club in New York, June 22, 1995. Lecture on the cultural legacy of the Beat Generation at the Venice Film Festival, August 30, 1996. Speaker at Allan Ginsberg Memorials at St. Mark’s Church on April 12, and C.U.N.Y. Graduate Center on October 17, 1997. Lecture on Ezra Pound at the Meer dan Woorden Festival in Goes, The Netherlands on 24 September, 1997. Keynote Speaker at “Beat Culture and Beyond” Conference at Roosevelt Study Center in Middleburg, The Netherlands, June 5, 1998. On the Beat Generation at the Open Center on 9 February, and at the CUNY Academy for the Humanities and Sciences on March 2, 2000. On Allan Ginsberg at dedication of Ginsberg plague for Landmark Preservation Commission, June 1, 2000. Readings at Nuyorican Poet’s Café in New York on November 11, 2000 and at The Knitting Factory in New York on November 12, 2000. National Endowment to the Humanities Fellowship, 1974. Member of National Humanities Faculty since 1978. 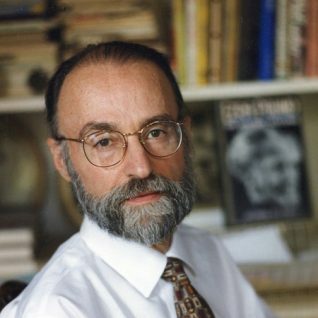 Executive Editor of American Book Review since 1980. Screenlay and interviews for docudrama “Kerouac: The Movie.” Active Home Video, 1985. Mystic Fire Video, 1996. The film played as a feature in 150 theaters in America, then went to television, cable and rental. Queens College Presidential Research Award, Spring 1992. Chair, Borough President’s panel to select Poet Laureate of Queens, 1997. Phi Beta Kappa humanities representative, Members-in-Course committee, 1990-96. Chair, Members-in-Course committee, 1997-99. President, Sigma Chapter 1999-2001.